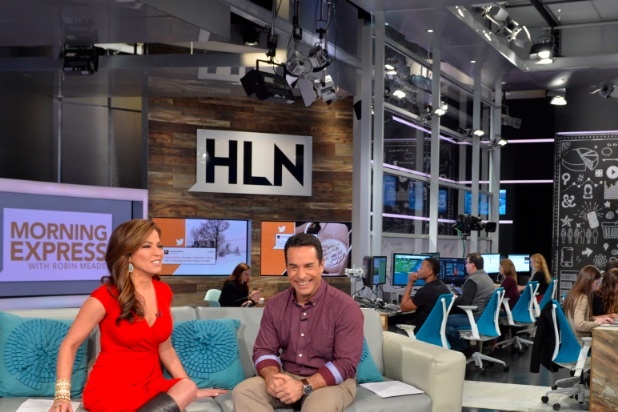 Amid all of the Pope hoopla that the cable news networks were covering endlessly, on Thursday, there was a surprising ratings nugget: HLN’s Morning Express with Robin Meade beat Fox & Friends, New Day, and Morning Joe in the key news demographic. Meade led the morning shows with 181,000 demo viewers; Fox trailed behind with 175,000 viewers, and CNN lagged behind with 122,000; MSNBC had 104,000 viewers. MXP has beaten ratings giant Fox & Friends before in the 6am hour, but not often for the entire 6-9am time slot (except on New Year’s). Meade’s show prides itself in covering all the news of the day — and not just focusing in on one event and ignoring the rest of the day’s news. This has to be librul propaganda. Surely to show beats Steve Doocey’s FOX & Friends!